THE CANADIAN PRESS -- KANANASKIS, Alta. - Energy ministers began meeting in Kananaskis, Alta., on Monday to start laying the groundwork for a national energy strategy, but there are widely diverging views about what such a policy should look like. Oliver said the tour reinforced his view that the oilsands can be developed in a sustainable way, and doing so is a "tremendous, tremendous" benefit to Canada. 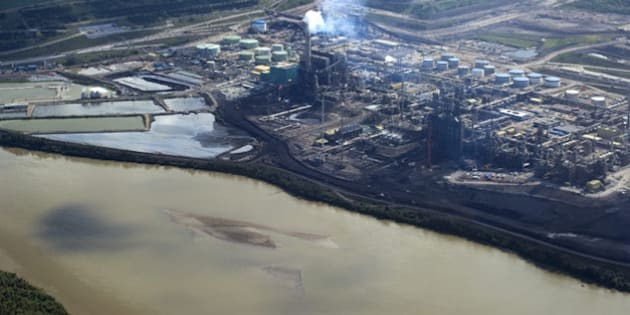 "The government of Canada and my provincial colleagues are concerned that we exploit this resource in a socially and environmentally acceptable way, but that we do exploit it for the benefit of Canadians," Oliver said. "So I am impressed at the way industry has been moving with an understanding that it's good for business to be environmentally and socially responsible." Earlier, the ministers toured Cenovus Energy Inc.'s (TSX:CVE) Christina Lake oilsands site, where steam is pumped deep underground to make the bitumen thin enough to flow to the surface. Then they visited the massive Syncrude Canada Ltd. oilsands mine, where an empty mine pit has been filled up and covered with vegetation. They also toured Canadian Natural Resources Ltd.'s (TSX:CNQ) Horizon oilsands mine, and did a fly-over of the huge development. "Ideally you would want everyone, but we had a very good turn out and it was an excellent trip," Liepert said. "A picture's worth a thousand words, and a visit is worth a thousand pictures." "I would sure love them to be touring say, an Alberta wind farm or perhaps a biodiesel refinery to say 'here's the opportunity associated with cleaner sources of energy,'" said Whittingham, who sat in on an open session with the ministers Monday. Earlier, Liepert reiterated his view that Canada must find more markets for its crude oil if it is to become a global energy superpower. With a more streamlined regulatory process, he has said it's less likely delays will hamper major projects like Enbridge Inc.'s (TSX:ENB) Northern Gateway pipeline to the West Coast and TransCanada Corp.'s (TSX:TRP) Keystone XL pipeline to the U.S. Gulf Coast. "Currently we really only have one customer and that's south, and you're not going to be a global energy superpower with one customer. So to me, that's a natural starting point," Liepert said. Meanwhile, a coalition of environmental groups took out a full-page ad in the western edition of The Globe and Mail newspaper, asking if the meeting would be "All Hat, No Cattle" — a metaphor for empty talk. "There's been a lot of chatter from the oilpatch and from the Alberta government about the need for a national energy strategy. The idea may have some merit if done well," the ad said. "But if it's just an excuse for more global warming pollution from more oil expansion and more pipelines, then it will be a bunch of empty talk — all hat and no cattle." An alliance representing forestry, agricultural, forestry, renewable energy and biotechnology industries said Monday a broad range of natural resources should be included in a national energy strategy — not just oil and gas. "Producing clean energy from trees presents a remarkable opportunity for Canada."